an offshoot entity from the Tiger Temple. The business and persons responsible for this facility have been repeatedly implicated in illegal trade in tigers, a globally endangered species and a protected species in Thailand. Accordingly, we urge you to take steps to ensure those involved are penalised and that Thailand takes new measures to ensure tigers across the country are not bred for trade in their parts and derivatives. The Tiger Temple has been implicated in illegal trade in tigers and tiger parts on multiple occasions since 2001. In 2008, a series of investigations uncovered international illegal trade from the Tiger Temple to a tiger farm in Laos. In 2014, allegations emerged about the illegal killing and disappearance of several tigers from the temple. Then in June 2016, the carcasses of 70 tiger cubs, two tiger skins and over 1,000 amulets made with tiger skin were discovered during a raid on the facility, after which the remaining tigers were confiscated. Despite such trade in captive tigers being in clear violation of Thailand’s Wild Animal Reservation and Protection Act, no charges or prosecutions have been brought against the Tiger Temple and its management to date. Such trade from and through captive facilities sustains and stimulates demand for tiger and other big cat products, which is driving poaching of wild tigers in Thailand and across their Asian range, and of big cat species globally. It is therefore with serious concern that we have learned that the Golden Tiger (Thailand) Co. Ltd has been granted a zoo licence and is set to re-open in March 2018 with 24 other tigers moved from Mallika Tiger Zoo. 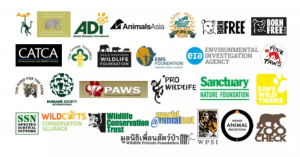 The issuing of a zoo licence for a business that has been repeatedly implicated in illegal tiger trade represents a total failure to bring consequences upon those engaged in illegal wildlife trade, sending a message that wildlife crime is a high-profit, low-risk activity. This perception is fuelling wildlife crime globally, and is leading to the decimation of ecosystems worldwide. There are now an estimated 1,450-2,500 tigers kept in around 50 facilities in Thailand; this number has more than doubled since 2007. Several of these facilities have been implicated in illegal trade. 350 tigers suspected to derive from captive sources have been seized in 36 incidents in Thailand since 2007.
also indicates that many other facilities unknown to authorities could be keeping and breeding tigers for commercial purposes. While we commend the enforcement efforts that led to this recent raid, it is crucial that such efforts result in prosecutions with deterrent sentences. Fewer than 4,000 wild tigers survive worldwide, and poaching for trade continues to threaten their existence. To combat this threat, the demand for tigers, including from captive sources, must be eliminated. As an essential aspect of such efforts, those responsible for illegal tiger trade must face serious consequences. 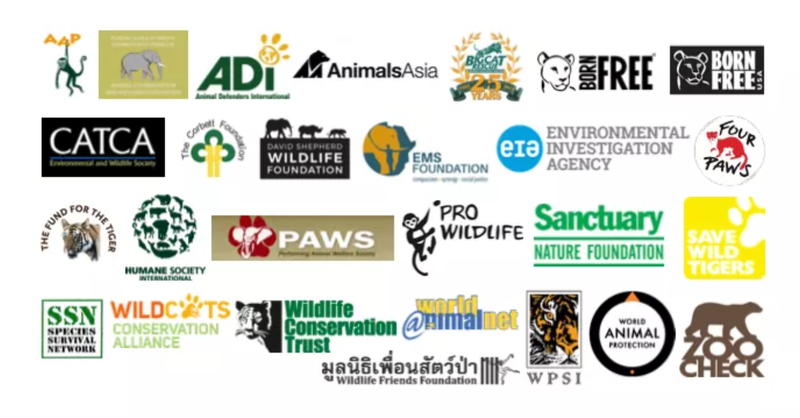 Accordingly, we urge you to reconsider the granting of a zoo licence to the Golden Tiger (Thailand) Co. Ltd as a matter of urgency, and instead to focus efforts on bringing those responsible for illegal wildlife trade to justice. of tigers occurring outside recognised regional tiger management programmes, as such breeding serves no conservation benefit.